The Navy said the body has been pulled up to the mouth of the rat hole mine and will be extracted under the supervision of doctors. 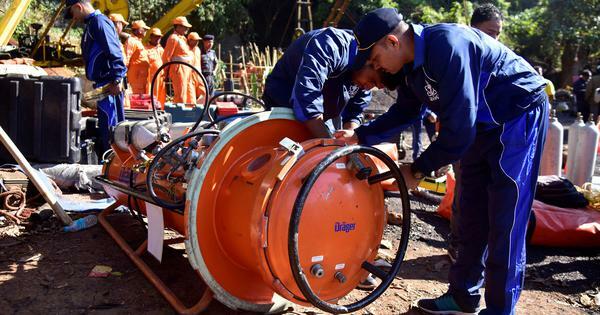 The Indian Navy early on Thursday spotted a body in a coal mine in Meghalaya’s East Jaintia Hills where 15 miners have been trapped since December 13, reported the Hindustan Times. Additional Chief Secretary PW Ingty said rescuers are examining the body and it is difficult as it may break into pieces while it is brought up. The body, which has signs of decomposition, was detected at a depth of around 210 feet, and was brought up to the depth of 100 feet, authorities said. 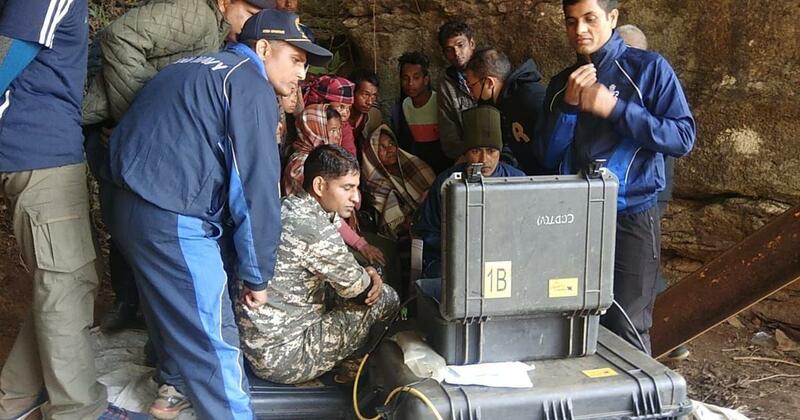 The district administration has called family members of three miners from Lumthari and two miners from Chirang district to check the footage captured by the remote-operated vehicle that found the body. Earlier on Thursday, the Navy said the body had been pulled out to the “mouth of the rat hole mine” and will be extracted out of the mine under the supervision of doctors. Search operations for the remaining miners will continue, reported ANI. A joint team of local workers, National Disaster Response Force, Coal India and the Indian Navy have been working at the site to find the miners who were trapped when water from the Lytein River flooded a network of tunnels in the mine located in Lumthari village. Divers and underwater remote-operated vehicles also came across some skeletons, reported the Hindustan Times. The daily quoted experts as saying that high sulphur content in the mines may have led to the decomposition of bodies. Earlier this month, the Supreme Court had pulled up the government for its inefficiency in conducting rescue efforts and had asked for updates. It had also asked the Centre and the Meghalaya government to seek assistance from experts and continue the efforts. On January 15, the court had again rebuked the government, this time for not curbing illegal mining in the state. It had also refused to give mine owners extra time to transport coal that was extracted before the National Green Tribunal banned coal mining in Meghalaya in 2014.